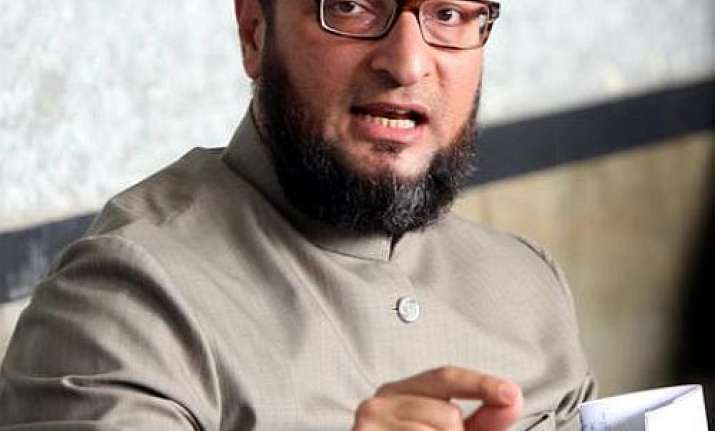 Jubilant over his party’s performance in Maharashtra civic polls, AIMIM president Asaduddin Owaisi has said that it’s time for the party to identify weaknesses, rectify them and move forward. Owaisi expressed happiness over the fact that AIMIM won many seats across the state in these civic elections. "For us, it has been encouraging because we won eleven seats in Solapur, ten in Amravati, two in Mumbra, three in Mumbai. Nagpur..I am yet to get information. But it has been very good. It has been very encouraging for us. We have opened an account in Mumbai, we have opened an account in Mumbra (in Thane Municipal Corporation)," Owaisi said on Thursday. "We have done very well in Solapur, Amravati. In Akola, we have won two or three seats. So, this is very encouraging, and I thank the people for making our candidates victorious and reposing confidence. Wherever we could not do better, like in Pune we could not open (our account), we will definitely identify our weakness and take it forward", he added. On Bharatiya Janata Party (BJP)'s big gains in the elections, Owaisi, in an obvious reference to Congress which put up a poor show in the polls, said at least now secular parties should stop blaming him for splitting secular votes. "Secular parties should do some introspection and see why are they losing elections after elections to BJP and Shiv Sena. Now the time has come for them to leave their arrogance and do self-introspection. There is no point blaming MIM every time. You (Congress) are losing your vote. You have lost everywhere. Now, it's the time for them to do reality check, introspection. Show humbleness instead of being arrogant even in defeat," Owaisi said. "From day one there has been no truth in this obnoxious allegation (that his party splits secular votes). Look at the results. There is definitely something wrong with them (Congress). That's why they are losing elections after elections," he added. Apart from Mumbai, the municipal corporations which went to polls in Maharashtra on February 21 were Thane, Ulhasnagar, Nashik, Pune, Pimpri-Chinchwad, Solapur, Akola, Amravati and Nagpur. About 56 per cent voters had exercised their franchise across ten civic bodies, including the cash-rich BMC, which recorded a 55 per cent turnout.